Every year across the globe, floods cause the loss of several lives and considerable damage to properties, which severely sets back the development process. The climate change, global warming, rapid urbanization and socio-economic disparity are making the world, vulnerable to floods. The need to combat the perennial problem of floods and resultant destruction has been a forefront concern for most nations, which calls for a proactive approach to establishing a disaster risk reduction regime for safer and sustainable development. This course is particularly useful for professionals working with flood disaster risk management. 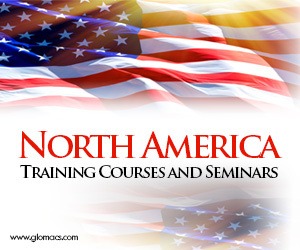 The course is open to participants from all countries. Participation of decision-makers elected and appointed national and local administrators, development and planning authorities, water engineers and flood control professionals, officials in urban planning, housing, public works, and water resource and management is especially encouraged. The course will likewise benefit private land developers, emergency response personnel, UN and other international agencies, and NGOs working on disaster mitigation. The trainings are delivered using a blended learning approach such as presentations, group work, guided sessions of practical exercise and web-based tutorials.